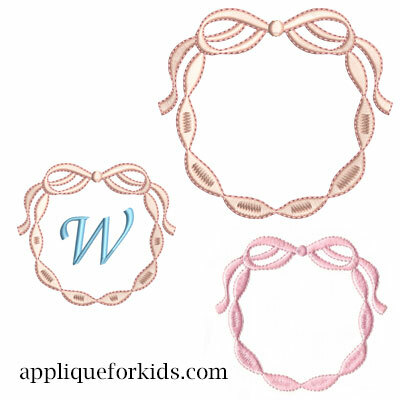 small: wd- 3.29" x ht- 2.96" regular: wd- 3.66" x ht- 3.29"
Very pretty embroidery bow - perfect for adding an initial, name, or other embroidery. The outline is set for a different color, in case you would want it to be a shade darker. The outline can be skipped if you do not want it.